Hi dollfaces! 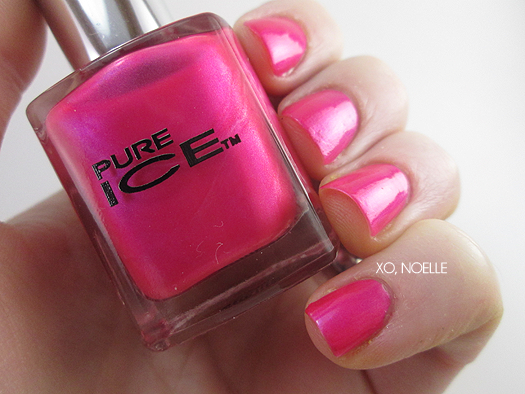 Tonight I have a post that is very long overdue: Pure Ice Holiday polishes exclusive to Walmart! I know, I know. It's not the holidays anymore but I feel like all of these polishes are wearable all year long! L-R: The Secret Is Out!, Bring On The Joy, Cherries On Top, Five-Some, First Party, Free Fall. 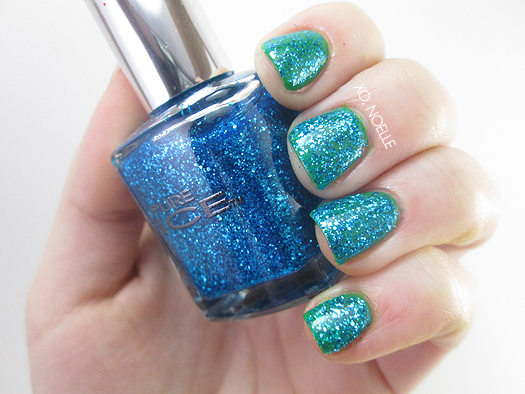 Free Fall is a hot pink base with a very subtle icy blue shimmer. The blue shimmer is very subtle on the nail but at the same time gives dimension to the polish from being just another hot pink polish. I really like this one! 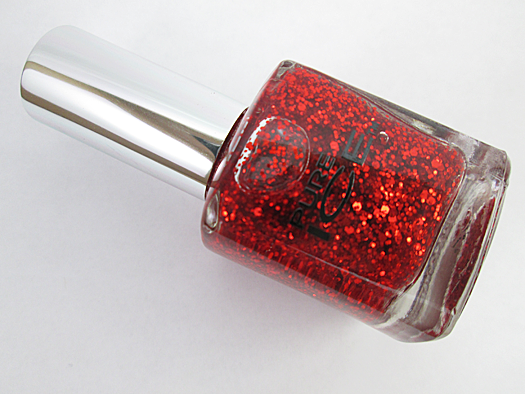 Not only did I have no issues with the formula of this polish but it's a one-coater! Cherries On Top is the perfect cherry red. DEAD. And I normally don't like red nail polish! This is my all time FAVORITE red. I can't even begin to tell you how amazing it is but I guess I can try ;) It's super creamy and another one-coater! The Secret Is Out! is a creamy kelly green. Another absolutely amazing color from Pure Ice and another of my new favorites! 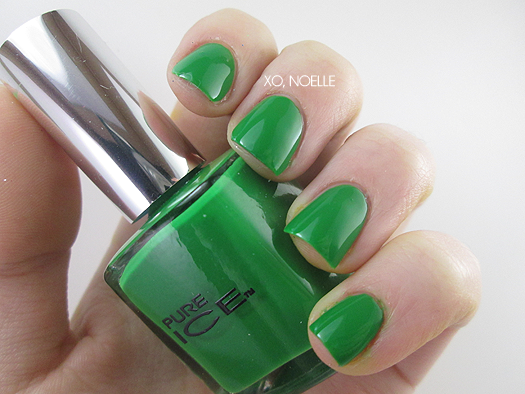 I've never really been a huge green kind of girl but I fell in love when I put this on. Same perfect formula as the others. 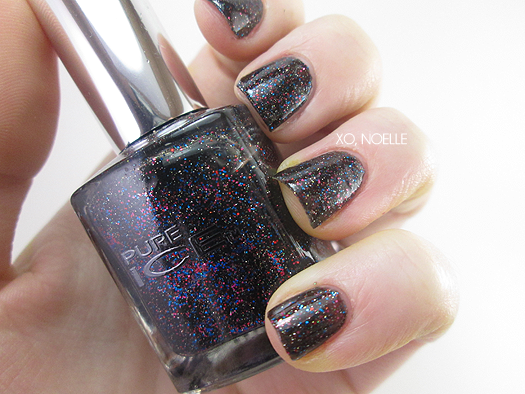 Five-Some is a black jelly base with various micro glitters. Shown with two coats over a clear base. Another A+ in my book. Perfect formula! This picture is shown without a top coat (hence it looking a little bumpy). 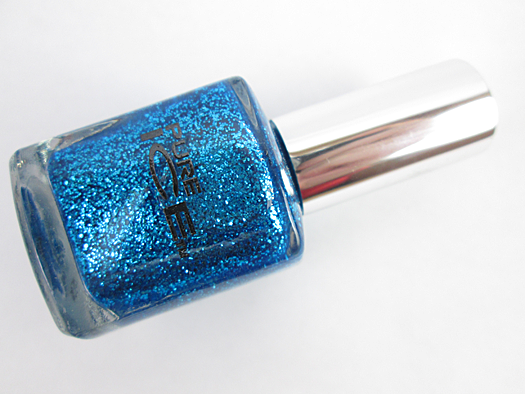 Bring On The Joy is a clear base chock full of blue glitter. This is two coats over The Secret Is Out! little did I know that this could probably be opaque in only two coats. Whomp whomp. Needless to say, amazing formula and zero issues with it. First Party is a clear base with red glitter. 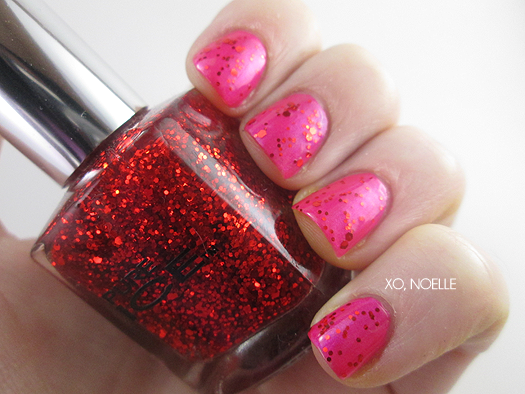 Unlike Bring On The Joy, this glitter top coat probably wouldn't work by itself. I really love this over Free Fall. Again, zero issues with application! 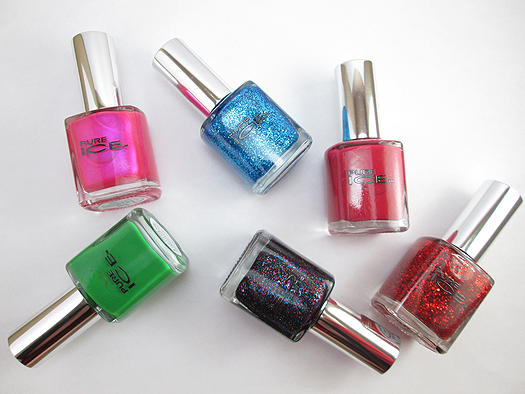 As with all Pure Ice polishes, this collection is free off formaldehyde, toluene and DBP. Where to buy: The Holiday Collection are new limited edition shades created exclusively to Walmart. $1.97 each! OMG, I want them all. Do you think they are still in stores? The red and the green are so pretty! I really like how, even though they're "holiday colors," any one of these could look good any time of year! For sure! That green is the most amazing Kelly green I've ever laid eyes on. 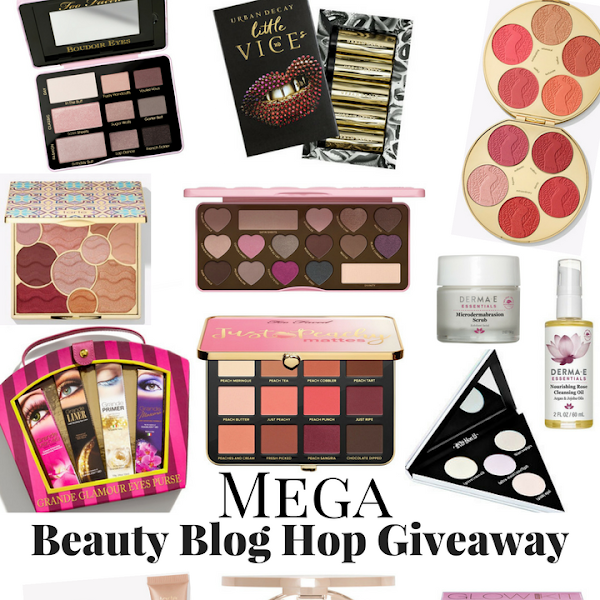 These are all sooo pretty! I am in love with Five-Some. Gorgeous collection! Pure Ice has always been my favorite. And affordable. Most all colors I have ever had are one coaters and the second coat always add beautiful depth. I find they are also good stamping polishes and I have had a semi-successful water marbling with them. So; I would say don't hesitate to try them. I never really tried them out but holy cow, I'll definitely be buying more now that I've tried these out. That's great to know! Thank you! It's a perfect dupe for it! OMG!! These nail colors are all so pretty. Love each and every color for I find them all so classy and elegant. they are indeed perfect for any occasion or even for everyday wear.